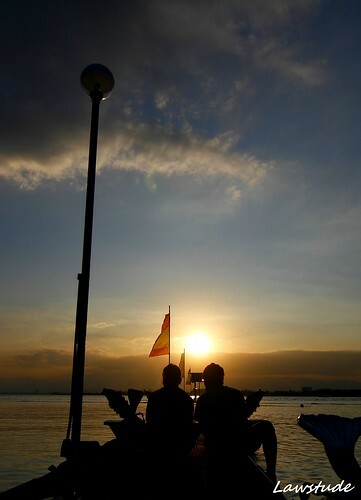 Island Garden City of Samal, IGACOS or simply Samal, this island in whatever name, just across the bay from Davao is a perfect hideaway whether you seek for the comforts of resorts or naturalness of unspoilt coves and beaches. 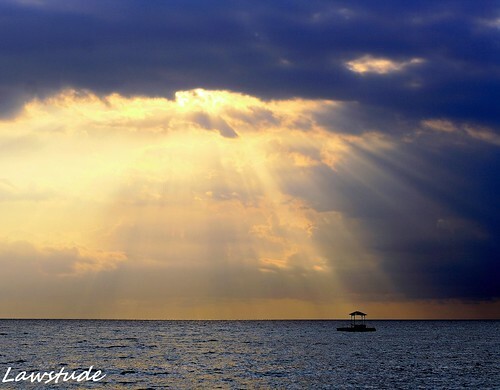 In fact, the west and east side of the island is diverse and dependent on your liking. One could easily be drawn by the beauty of the surroundings in Hagimit Falls. Lush greens will delight your eyes while the never ending sound of the gushing waters surely is music to the ears. 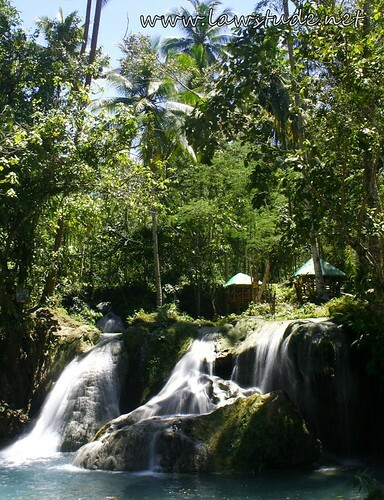 Hagimit Falls is a small waterfall with natural swimming pools surrounded by amazing rock formations. The falls flow into series of cascades and pools and is perfect for picnickers and campers. Its name is one of a kind. 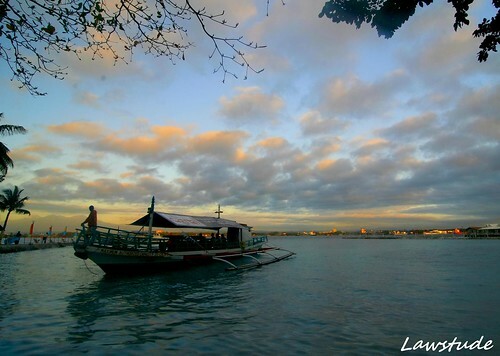 Abbreviated as IGACOS, we have reached the Island Garden City of Samal nearing dusk via a ten-minute ferry ride from Davao City to Paradise Island Park and Beach Resort. Maxima Aqua Fun is located at the Garden Island City of Samal. Dubbed, the "Home of the Abyss" it is open everyday from 8 am to 5 pm. Entrance fee is 150 for adult and 100 for children which covers unlimited use of slide, tables and chairs, life vest and diving board. Contact them at (082) 282 2339 or (o82) 271 2626. Photos were taken by Lawstude and Jon. Video made by Lawstude. 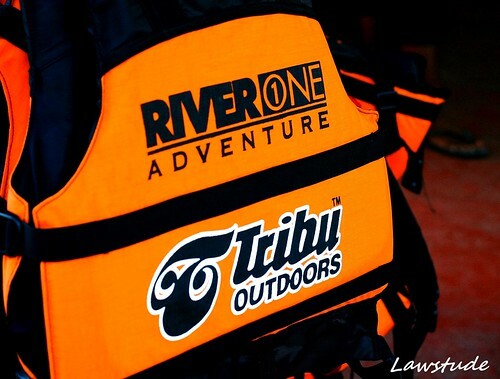 My first time to do white water rafting was almost a year ago in Cagayan De Oro. Back then, I somewhat fear the gushing water's unpredictability. Who wouldn't? I grew up and live in a plain landscape where seas and rivers are far-out concepts. It was a very brief trip to paradise. We went there to catch the sunset of the scenic Saranggani Bay but the sun decided to play hide and seek with the clouds. And before the moon eventually rule the sky... we were on the road again. 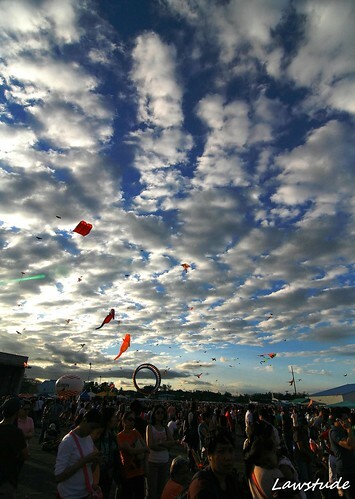 Festivities abound in the Islands Philippines, from Luzon to Visayas to Mindanao. 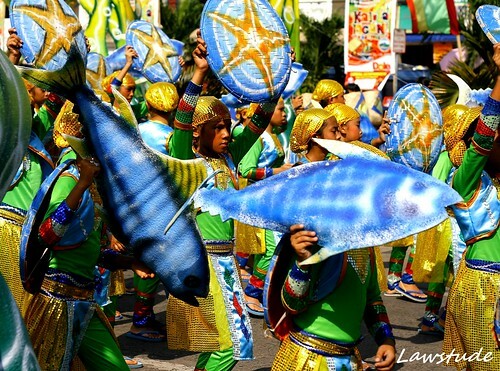 I am a frequent spectator of Luzon's Panagbenga Festival having observed the parades in the last two years. This year however, my lakwatsero brothers Dong Ho, Scud and Jon decided to do a Davao City-General Santos trip. And in this trip, we were fortunate enough to witness the Kadsagayan Street Dancing in General Santos' Kalilangan Festival. Thanks also to my sister who made the movie. Part 2 of this series take-off at dusk when light and dark meet. 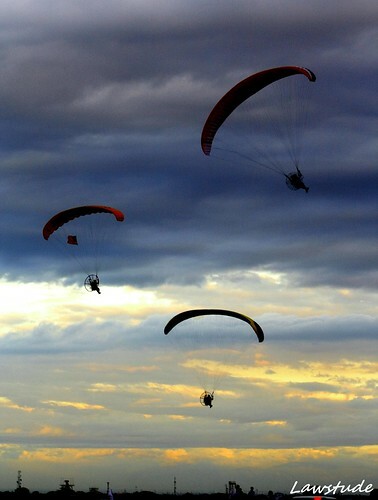 Paragliders from different part of the world perform areal acrobatics on Mount Arayat backdrop. And as if your eyes ain't entertained enough, the street dancers of Candaba Pampanga lighted the ground with a performance lifted from their recent Ibon-Ebon Festival. It was truly a visual treat for everyone as the colors blend in with the fading light. There is something in the air that day... and I don't mean those cheesy stuff of emotional rides and anticipations. But... literally, there is something, err, a lot of things in the air that day.